Made with High-Grade Resin in Orange and ivory colour. Quality: The quality of good things is an experience that goes well beyond a single sense. Our passion goes just as deep for the smallest of details as it does for the huge difference between our writing instruments and cheap, mass-made products. Our designs stem from another era when tradition and craftsmanship were still synonymous and some clocks seemed to go a little slower. We took the fascination Kaweco pens had back in the days and translated these values to todays refined and increasingly demanding times. Creating products that keep the given promise of standing up to being much loved and seasoned companions every single day of the journey, time and time again. Responsibility: Good things take time. Better things take even more. That\'s as true for business as it is for human relationships. We take these values to heart when we extend our appreciation to every single one of our employees and partners. We cultivate business relations across generations making them a vital part of who we are today. 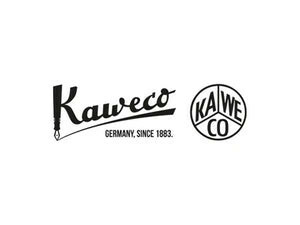 Sustainability, as a term, is thrown around much too frequently and loosely - but for us, at Kaweco it resonates with everything we do. Whether it comes to relations, the environment or business. Taking clues from our own past, we rely on knowledge obtained through listening and learning and shape our own future accordingly. Thats how we define an innovative approach to sustainable business. Service: Every product receives a two-year guarantee because we stand behind each and every one of our products with great ease of mind and confidence in its quality. We also offer lifetime repairs for our products, because we believe true sustainability begins with making the right things, not just more stuff. It\'s our self-proclaimed promise to hand you a product, that partners price and value without compromise. One that carries our passion, our pride, and our craftsmanship.